Returning student? Click here to access your online classes. Includes 1 free evening group empowerment call with Robert Tennyson Stevens. Includes 3 free mentoring group empowerment calls with Robert Tennyson Stevens. Includes 3 free group empowerment calls with Robert Tennyson Stevens. Includes a FREE copy of Voice Your Choice™ – A Conscious Language™ Group Empowerment Game Included (Regular Investment: $358.00). Payment Plan Option Now Available! Mastery Systems chooses to make purchasing packages fun and easy. Through April 15, 2019, purchase this package in 3 installments and receive the same savings as above. The Mastery Systems Life Upgrade Coaching Curriculum offers unique techniques to engage and upgrade every aspect of life. The course demonstrates our Human Operating System technology revealing hidden beneficial shifts awaiting acceptance and actualization. The act of Re-Membering allows us to realign personal fractures in our lives into a new state of essential wholeness within. In our technology, Personal Decrees associated with the act of Re-Membering reframe the illusion of separation and imperfection union and perfection. Change into a new state of consciousness can be immediate and ever-expanding. To slow down and experience yourself in a new way. To go deep and see yourself in a new light. To reframe your perception of yourself and the issues in your life. All done with Grace and Ease. In the evolution of consciousness, our bodies are the storing banks of genetic, experiential, and collective (global) memories. Robert demonstrates the ‘other conversation’ going on between and within individuals through physical symbols, archetypal patterns, body sensations and energies in our environment. Anyone committed to conscious communication, success, health, wealth, effective sales / coaching of facilitation will benefit from these high quality, specific body language translations – enriching your ability to express and understand yourself as well as those you are supporting. Standing on the shoulders of our Sacred Body Language Translations™ 12 DVD Set is our S.B.L.T. Facilitator Training recorded from the live 5 day event with Robert. We explore in much greater depth the sacredness of our body’s communication system. This course is designed to give the facilitator who is already sharing Conscious Language, Outcome Facilitation, and Imagination Activation a much greater, in depth understanding of how to address S.B.L.T. in a conscious and transformative way. When you register for S.B.L.T. Facilitator Training Certification, here is what’s included. Studying your own eyes, and the eyes of others, offers a superb and intimate form of facilitation, personally and professionally. Each set of eyes displays your life lessons and “why you are here”, as well as current reactions and responses to our ever changing environment. 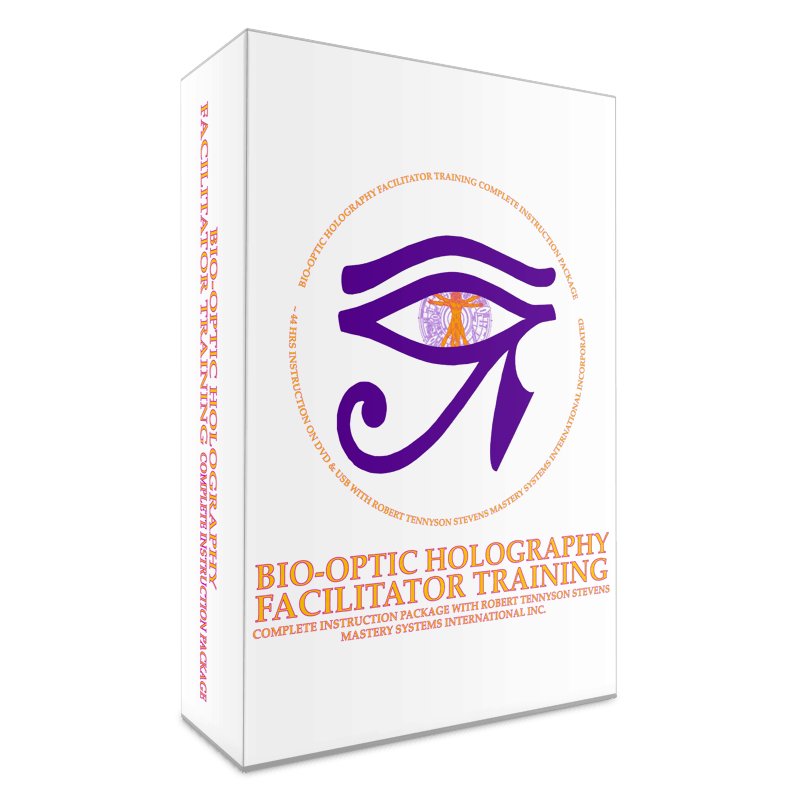 Bio-Optic Holography is a series of tools to share with your family and loved ones. Have you ever wished you could just get some person to person help from someone who has been through it themselves? Our Coaches adhere to the precept that “All Coaching is Self-Coaching.” Whether you are choosing to upgrade your finances, career, relationships, health , business, family harmony, or what ever is on your plate at this moment, the self-coaching techniques that make up Mastery Systems can be shared with you personally. Imagine having someone find you hidden glitch or pattern in a few minutes and through your body language, words, and consciousness, guide you into your Heart’s Call. 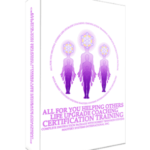 Our Helping Others Certification is designed for you to embody the tools of Mastery Systems Life Upgrade Coaching and begin working with clients to help them positive change in their lives. 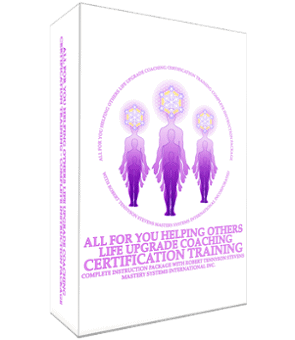 When you register for All for You – Helping Others Certification, here is what’s included. Upon registration you will receive a unique user name and password for the training, and will be granted Lifetime Access. Live Class Required to Receive Certification.